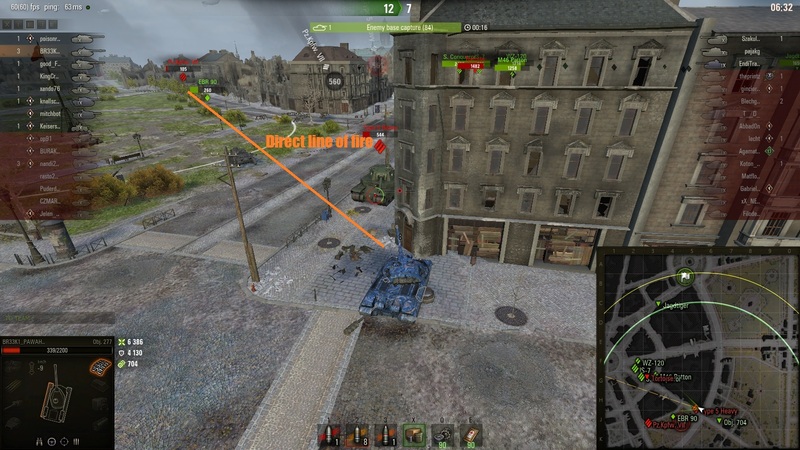 To set the scenery: close game on Ruinberg, our team equalizes and we press the advantage by encircling the city. 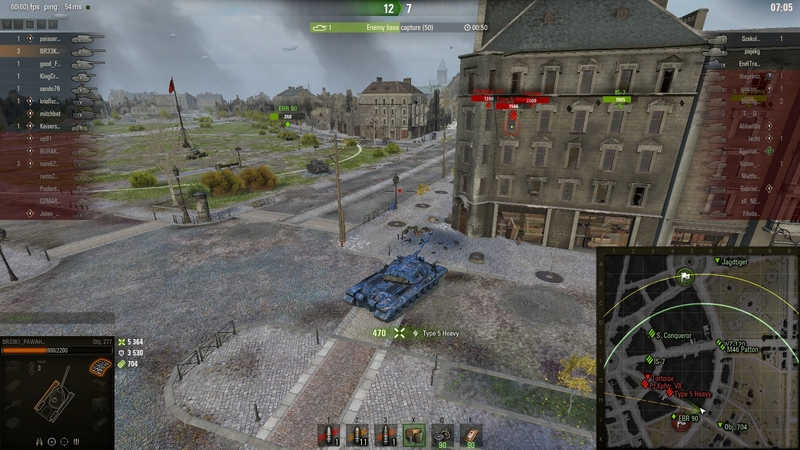 Now he is between two enemy tanks, still not spotted! 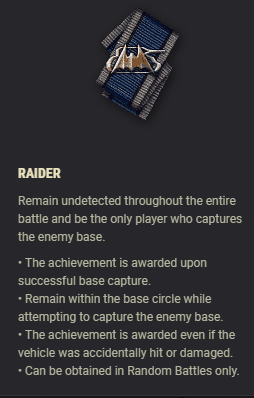 You must be unspotted all game and cap the base to get Raider. Apparently it's called Invader now, it's that thing in the last screenshot. My best cap was not witnessed by anyone. 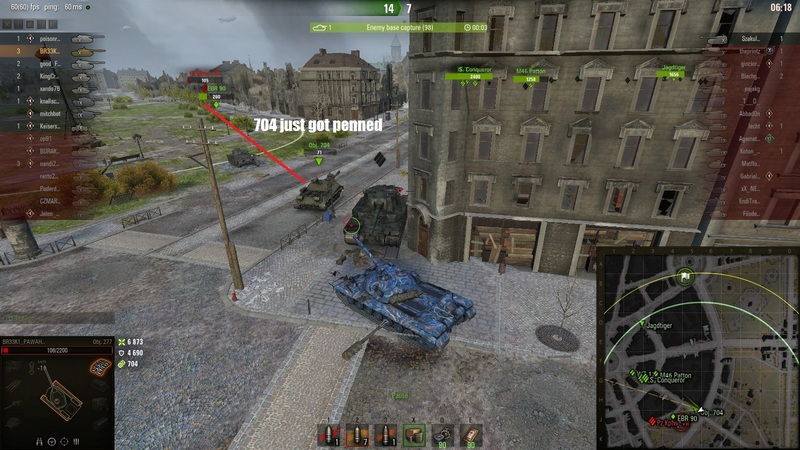 I was playing MBP on Pearl River back in the day, late game when my game crashed or disconnected or something. 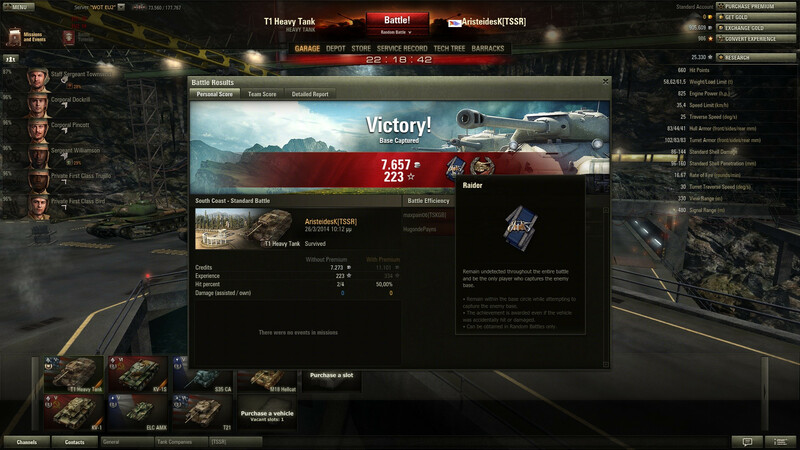 By the time I was back in the game the battle was over and my team had somehow won even though it didn't look like that was going to happen when I was still playing. 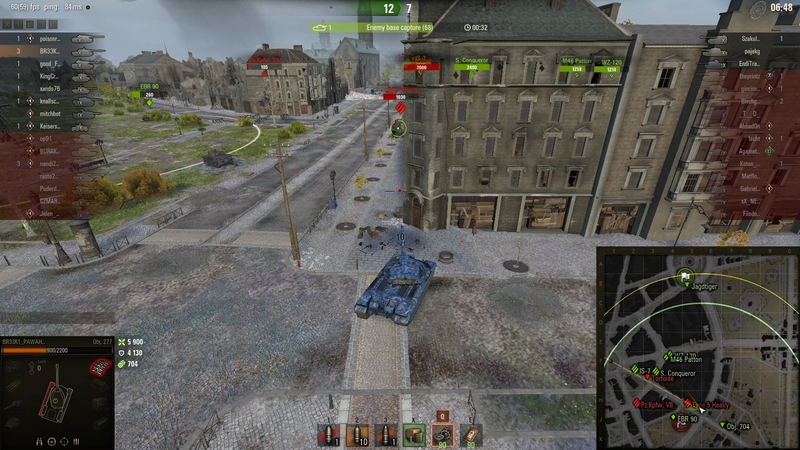 Upon closer inspection apparently my tank had kept driving onwards despite the lack of player input and at the time of the crash/disconnect was pointed exactly at not just the enemy cap circle but a conveniently placed rock inside it, so it drove into the cap, came to a standstill against aforementioned rock, and was never reset by the enemy team. Different things that never changed. 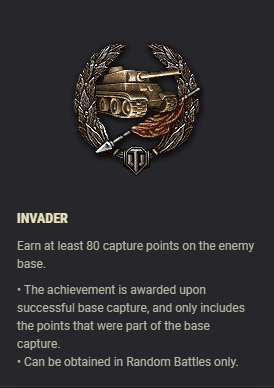 Nha it changed, I have one tank I know for a fact should have a Raider medal and it now has Invader instead. Or I misunderstood your post. Yah, Invader was called Raider before those ribbons or whatever they're called were put into the game. Having got a Raider medal under the current scenario in the beta I'm relatively sure you’re incorrect on this one. 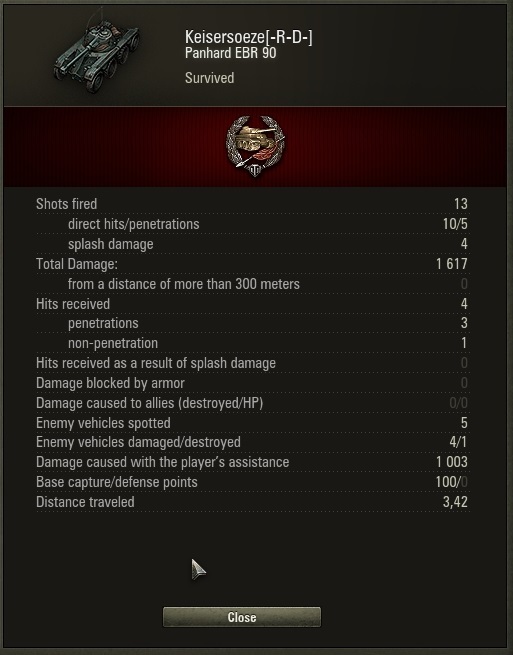 Nice cap reset from the Type 5. 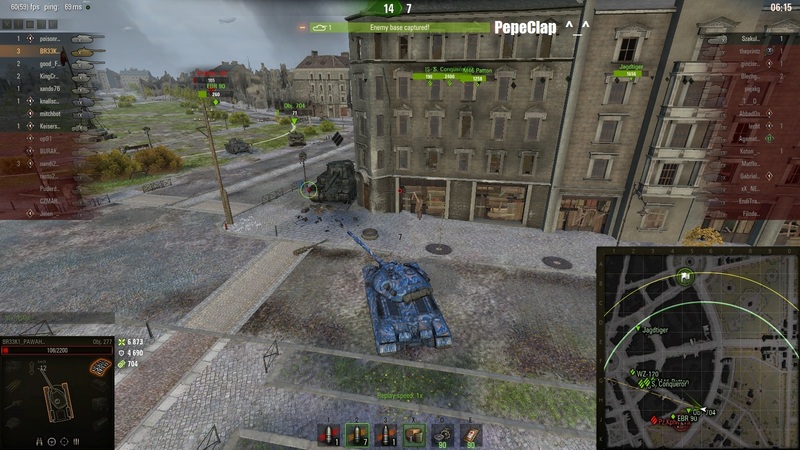 Cap reset or wrecked by a 277, choice is ez. That raider medal is not a ribbon, and never was.